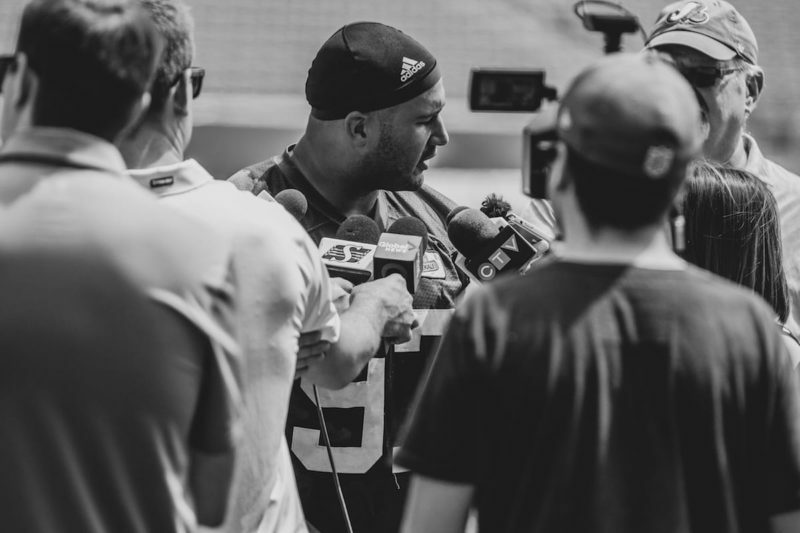 Some new additions were on the field with the CFL’s Saskatchewan Roughriders on Thursday. 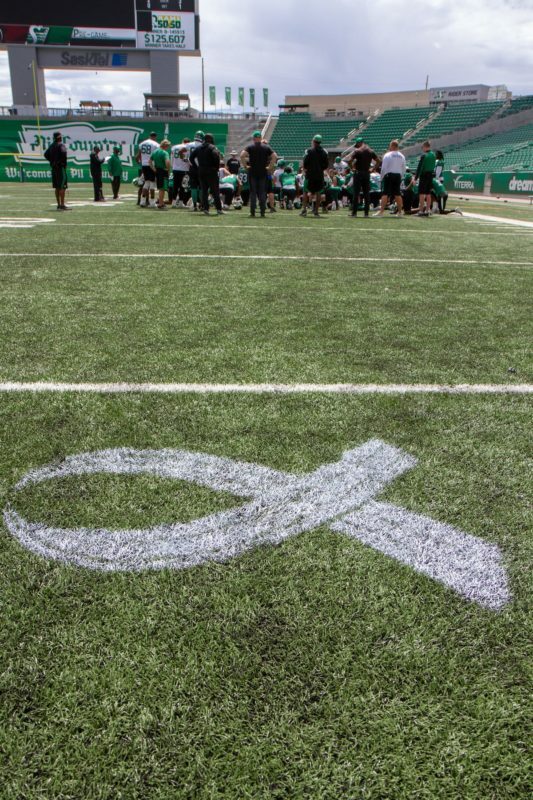 White ribbons have been painted on the Mosaic Stadium turf at the 29-yard lines, symbolizing the 29 people who were on the Humboldt Broncos’ bus on April 6. The Broncos were en route to an SJHL playoff game in Nipawin that day when their bus collided with a semi-trailer at a rural intersection. The crash claimed the lives of 16 of the people on the bus and injured 13 others. 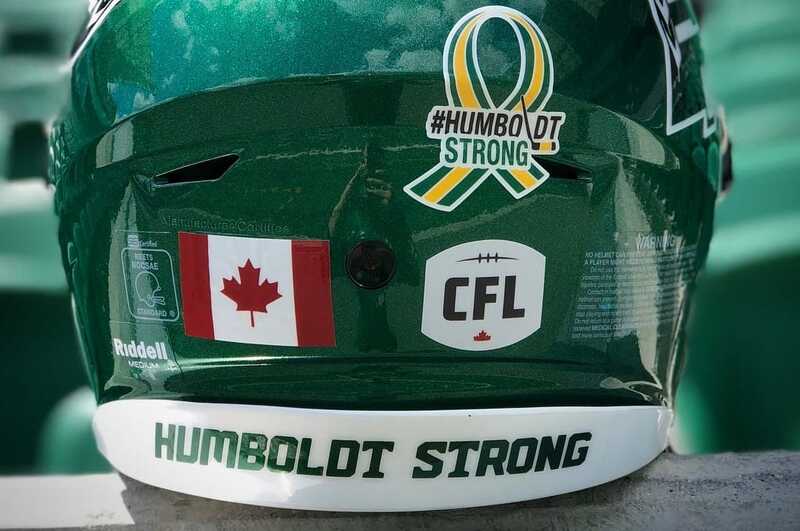 On Saturday, the Roughriders are to play host to some 200 people — including surviving members of the Broncos, their immediate families and billet families, representatives of the Humboldt community and first responders — during Humboldt Strong day. Those people will be feted before Saskatchewan faces the Montreal Alouettes in what is expected to be an emotional pre-game ceremony. “It’s going to be a special moment, especially seeing all the families here,” Roughriders defensive tackle Eddie Steele said Thursday. “To be honest, I’m looking forward to hearing the ovation that the crowd is going to give them because I’m expecting it to be a pretty spectacular ovation. Steele has personal ties to the Broncos and the community of Humboldt. He met some of the Humboldt players and coaches while attending a game in Nipawin on Feb. 16. Ten days later, Steele was in Humboldt to deliver an anti-bullying speech at a local high school. In the days following the crash, an emotional Steele was eager to visit Humboldt to grieve with those affected. He never made that trip, but he subsequently travelled to Nipawin with teammate Zack Evans to meet the first responders who were on duty on the day of the accident. On Saturday, Steele could see some familiar faces. “I don’t think it will be more difficult (for him because of his visits),” Steele said. “Having the opportunity to go (to Humboldt) during training camp and to actually speak with some of the parents of the kids who are no longer with us and some of the people who I had encounters with, that was some good closure for me. During training camp, the Roughriders travelled from Saskatoon to Humboldt to hold a practice at Glenn Hall Park. Thousands of people attended the June 3 event, which also featured a barbecue and autograph session with players and coaches. This time, the Roughriders are the hosts. But a training-camp workout is different than a regular-season game. The pre-game ceremony Saturday is to feature a video tribute to the Broncos, and team and city officials are to participate in on-field events. 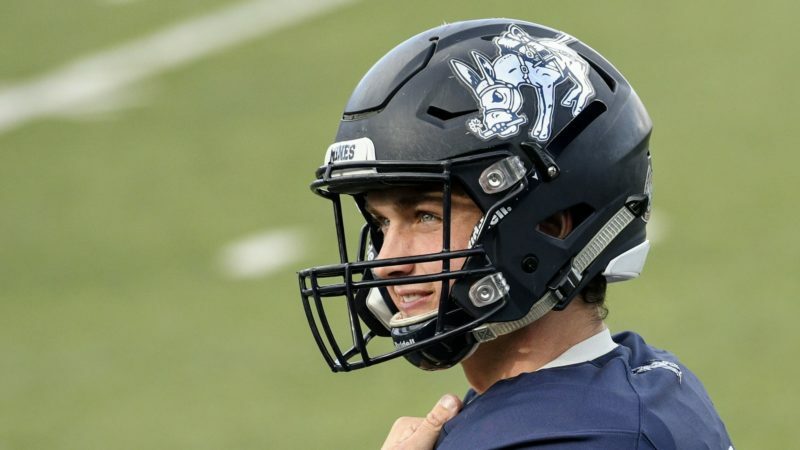 That could be a lot for someone to process before he snaps on his helmet and takes the field — but the Roughriders aren’t worried about being distracted. “There’s going to be a lot of energy and emotion built up when those people come in here and I hope they’re going to be received with arms wide open by everybody,” guard Brendon LaBatte said. 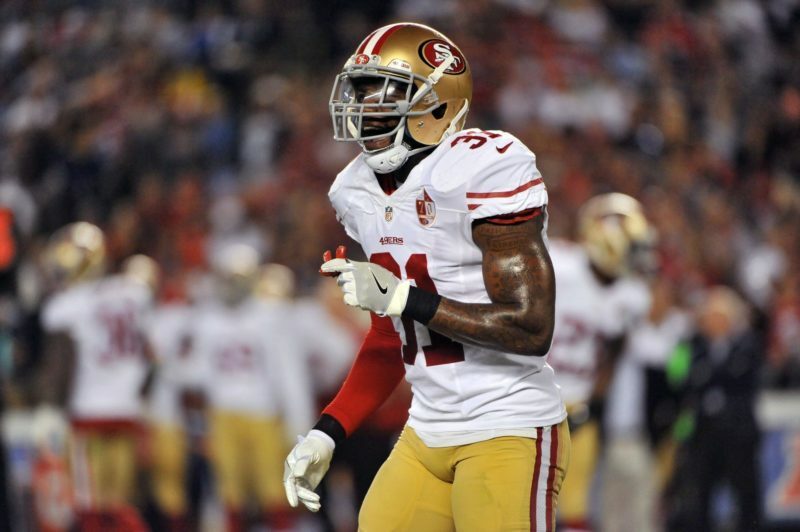 “But once you start playing, you’ve got to be able to put that on the back burner temporarily. Cornerback Jovon Johnson agreed, noting that the Roughriders are looking primarily at the Als and the challenge they present. “We get paid to focus on football,” he said. “But at the same time, we have to use our platform to pay our respects in situations like that. Many of the Roughriders suggested the reminders of the events of April 6 — the pre-game ceremony, the ribbons at the 29-yard lines, the decals on all of the players’ helmets — will give them motivation during the game. Many of the players also have done some soul-searching over the past 12 weeks. A number of them took buses during their junior or university careers to get to games — and the Roughriders as a group had to bus from Saskatoon to Humboldt on June 3. As well, every one of their road trips involves bus rides to and from airports, hotels and stadiums. “I don’t know how many times we were on a bus in Ottawa — about four or five times just in those few days — so it really puts it into perspective where you’re going and what can happen, in a sense,” cornerback Duron Carter said in reference to the team’s three-day trip to Ottawa last week. 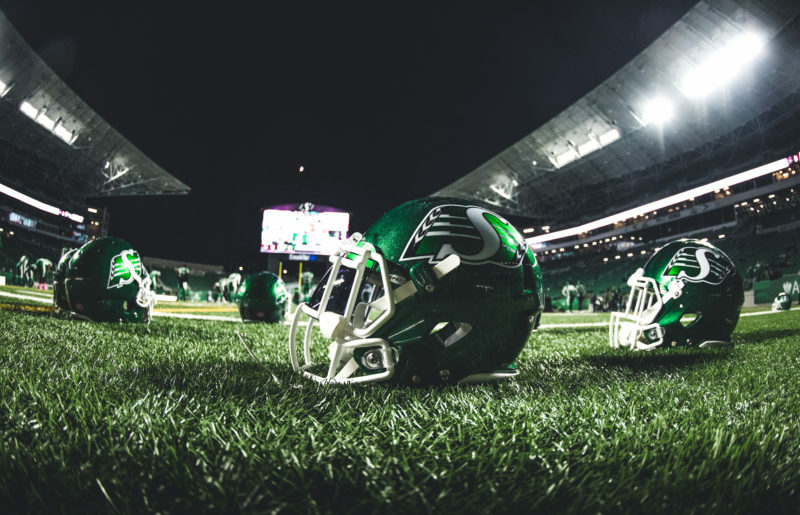 Moore noted that he hoped a victory Saturday would “put some smiles on faces.” But the Roughriders know that they can’t change what happened on April 6 or what has happened since for the survivors, their families or anyone else affected by the accident.